The SavorNW Wine Awards are now accepting entries for their 2019 competition. Designed to showcase Northwest wines and wine regions, the SavorNW Wine Awards expects more than 700 wines for the judging which is scheduled for the last week of February in Cannon Beach, Oregon, and is open to wineries with fruit grown in Oregon, Washington, Idaho and British Columbia. The SavorNW Wine Awards competition is a professional, single-blind judging featuring experienced panels of judges from around the Northwest including wine writers, sommeliers and other qualified members of the wine trade and media. Wines are scored under controlled conditions and are awarded Gold, Silver and Bronze awards based on judging consensus. Double Gold is awarded for a unanimous consensus of Gold among the judges and all Double Gold and Gold medal wines are eligible for Best of Class. Winning entries will be announced in early March and promoted with a public relations campaign to regional and national wine, culinary and news media. 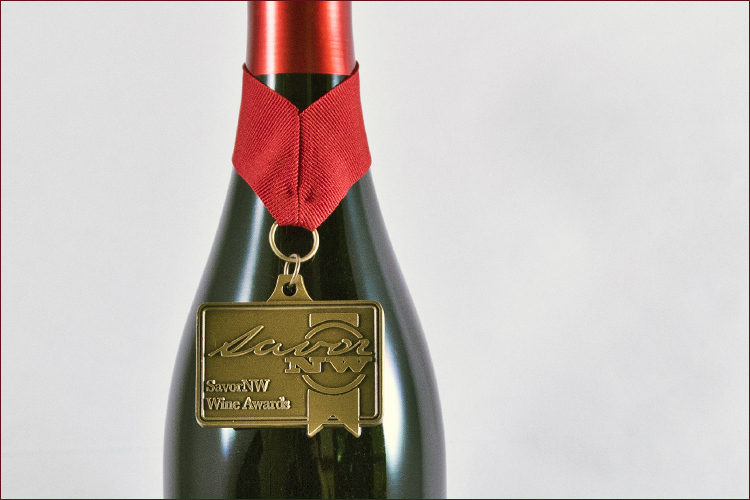 All award winning wines will be listed on the SavorNW website with a direct link back to the winery's website. Additionally, each Gold Medal winning wine will be showcased with an individually published review on SavorNW.com, including a score of 90 points or higher as determined by the judges and all reviews are posted on the SavorNW Facebook page. All gold medal winners become eligible for submission to Wine Press Northwest magazine's year-end Platinum Judging. Judges for the 2018 SavorNW Wine Awards included Eric Degerman, president and CEO of Great Northwest Wine; Ken Robertson, veteran wine writer and co-founder of Wine Press Northwest magazine; April Reddout, Wine Program Manager at the Walter Clore Wine & Culinary Center; Steven Sinkler, Level 3 Sommelier and owner of the Cannon Beach Wine Shack; and Katelyn Peil, beverage director for Seattle-based Heavy Restaurant Group and 2017 Washington State Wine Awards Sommelier of the Year. Entry information can be found here.